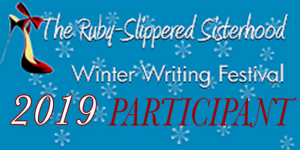 As I contemplated my post for this month, I was a bit perplexed about what my topic should be. 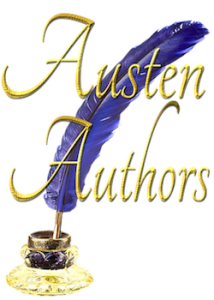 I have no release, so a new book and a giveaway were out, and I had nothing come to mind that I was currently experiencing that I could easily relate to Jane Austen and her life. However, a thought did come to me…I could talk about furniture! This post is the result of that thought. When I write, I rarely describe rooms and gowns and things. However, I do mention them, because people use/wear them. In rough drafts, I often call couches “loveseats” and then when editing, change it to a chaise or settee. So…what is correct? Did people use the word “couch” at all? Where did that word come from? Am I accurately describing the furniture those long ago folks sat on? Further, where did they purchase furniture from, and who designed it? Of course, it must be handmade. Mass production was in its infancy at that time, and not every good was available as a mass-produced item, though I did find evidence that the pieces that go into a piece of furniture (i.e. legs, spindles, etc.) were sometimes created on machines. Did Regency-era furniture shoppers go to a warehouse to look at premade pieces, or order them specially-made? If a warehouse, where was it located? In Cheapside? (GASP!!!) Did the designer come to Mayfair with a catalog to take the order? What if you were not a member of the gentry? How did furniture buying work then? mid-14c., from Old French couche (12c.) “a bed, lair,” from coucher “to lie down,” from Latin collocare (see couch (v.)). 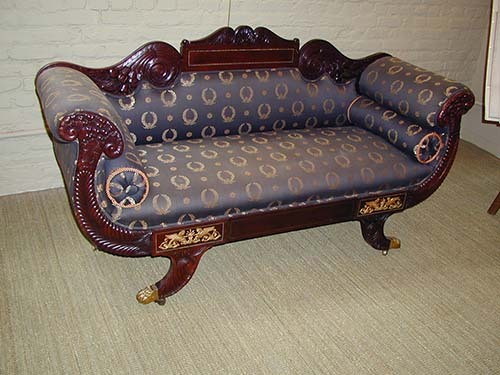 Traditionally, a couch has the head end only raised, and only half a back; a sofa has both ends raised and a full back; a settee is like a sofa but may be without arms; an ottoman has neither back nor arms, nor has a divan, the distinctive feature of which is that it goes against a wall. Couch potato first recorded 1979. Well, would you looky there! I can use the word “couch” in my Regency-era book! Good to know…saves me time. Though, what they describe is more what I had in my head as a chaise lounge. 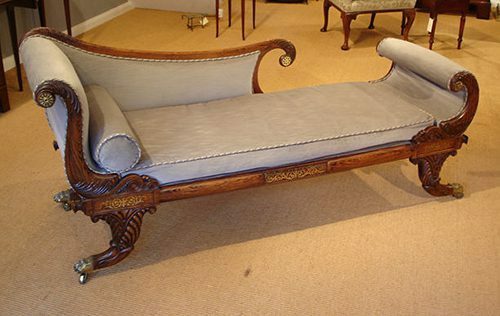 I have also had an incorrect mental image of a settee…I had imagined it to look more like a loveseat. That site does not have an entry for “loveseat,” but if you search “seat” and scroll down, you will find it as “love-seat” and learn that it was first added to the lexicon in 1904. Taking into account that it was probably in use in a limited way for several years before it became official, you’re still looking at the late 1880’s, and that’s too late to be of use to me. I’ll have to consider the pieces of furniture upon which my characters sit more carefully from now on, I guess. 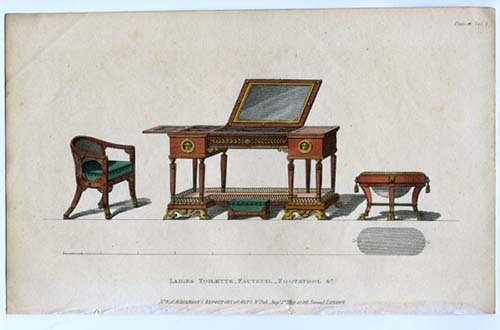 Next, let’s consider how and where people purchased furniture in the Regency period. To my amazement, I discovered that Ackermann’s Repository was more than a fashion book; it contained a whole host of goods in it, including furniture. From browsing images that came from Ackermann’s, I can see that Regency-era furniture was not as large and imposing as I had imagined. The designs seem to be light and airy, in large part, and very pleasing to look at. I’m not entirely certain how comfortable any of it would be, but I would love to have any of the pieces in Burton Cottage. I even saw a picture of a couch in a half-moon shape. Of designers, I only found two designer names: Thomas Hope and George Smith. From what I understand, Hope’s furniture tended to be large and influenced by ancient Egyptian art. Smith complained that furniture designs had become too eclectic. I purposely looked into the history of Chippendale furniture, as I know I have seen it mentioned in at least one JAFF book. 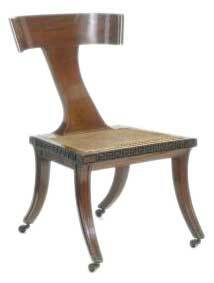 In the Regency period, Chippendale Furniture was run by Thomas Chippendale’s son, also named Thomas. The store went out of business in 1804 due to bankruptcy, but the younger Chippendale was still delivering furniture to a gentleman in Stoutshead until 1820. While I was unable to find specifics, as near as I can tell, customers went to the cabinetmaker’s store to purchase furniture. I’m sure in some cases, the store’s owner or employees might travel to a home in Mayfair or some other fine neighborhood to make a sale, bringing along a catalog and probably an order sheet of some kind. For middle-class families, furniture had become cheaper, and their buying power higher, and so most families had houses much like ours, with rooms designated for a specific purpose. Depending on the size of the house, a room could have a dining table set up all the time, including chairs. Or, if the house was small, foldable furniture was available. Also, by the Regency period, removable leaves for dining tables had been invented, so the size of your table could match the number of guests you had. So there you have it. I will say that I don’t think I researched this as completely as I could have, but it was a daunting task. I tried to whittle things down to a manageable level; otherwise, I’d have ended up writing a book!